The expression “Use a picture. It’s worth a thousand words” appeared in a 1911 newspaper article quoting newspaper editor Tess Flanders discussing journalism and publicity. I think that I will apply that principle to this month’s Road Trip. I will limit my words and let you enjoy the scenery. 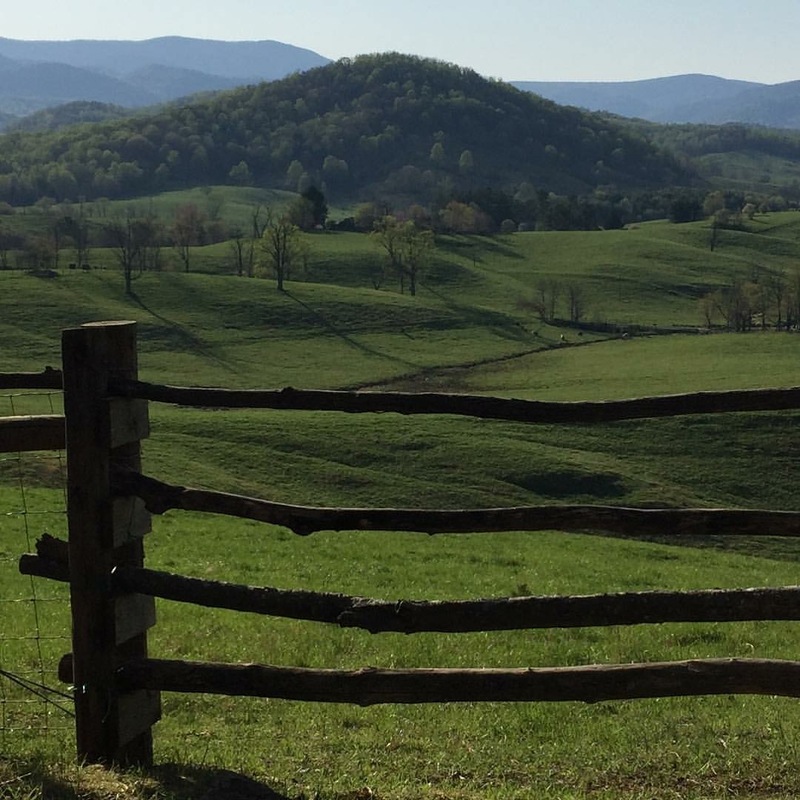 With the warm summer months upon us I thought that I would take a drive down I- 66 through Northern Fauquier County wine country, into Front Royal and across the mountain to Rappahannock County. The drive begins west on I-66 to Marshall, VA and Route 55 to Barrel Oak Winery in Delaplane. 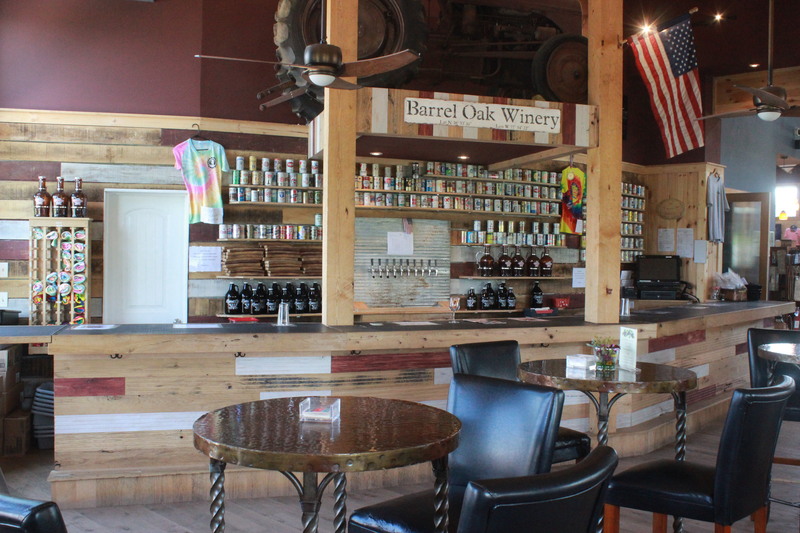 This winery is a very popular destination with mountain views, a wide selection of wines and, for beer lovers, the Farm Taproom that opened this spring. A couple of miles down Route 55 to Route 17 and across Crooked Run Creek you will discover Three Fox Vineyards. The winery has out door seating on the mountain as well as down by the creek with a few hammocks by the stream. Retracing your drive back to Route 55 and making a right you will pass Aspen Dale winery and come to Leeds Manor Road. Making a right will take you up the mountain to Naked Mountain Winery and one of Virginia’s best Chardonnays. The winery is in a state of expansion as the tasting room facilities are to be enlarged and a new crush pad is beginning to take shape. There are tables around and numerous chairs on the lawn under the shade trees. Heading back down Leeds Manor Road, across Route 55 and 3 miles down the road you will come to Philip Carter Winery. For three centuries the families have made a way of life in the rolling landscapes of Fauquier County and on July 22nd the founding family of American wine joins with the founding families of Fauquier County’s craft brewing and cider making to host an event celebrating the local craft libations of the region. Known as the Founders Festival, this event is open to the public and only costs $10 in advance or $15 at the door. Be sure to check out events at the other wineries as well as there is something going on all the time. Retracing your path back to Route 55 make a left and head to Linden, VA. At the base of Freezeland Road make a right and climb the mountain to Fox Meadow Winery at the top. A recent Governor’s Cup winner, this winery has arguably the best and most panoramic view of the Blue Ridge…and it is blue. You can see as many as five different mountain ranges in the distance. Coming down from Fox Meadow cross the road and check out The Giving Tree, a locally owned store. The store features vegetables to plant in the spring, fresh vegetables and meats from their farm as well as sourcing from other farmers in the area. They also have a nice selection of cool stuff…something for everyone. About two miles down Route 55 you will come to the Apple House, which has been run by the same family for 63 years. It is a great place for good country dining…not fancy, just good food. You have to check out their Apple Butter Cinnamon donuts. Continuing down Route 55 you will come to Front Royal, which is a road trip unto itself. On this road trip you make a left at Rout 522 (right past the Shell station where the gas cost $2.09 when I was there). Take 522 over the mountain, through the little hamlet of Flint Hill. 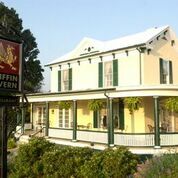 If you are hungry at this point, stop in to Griffin Tavern for a quick bite. Once you come to Route 211 make a right and head to the town of “Little” Washington, the home of the world- renowned Inn at Little Washington. While the Inn is certainly the centerpiece of the town, there is much more to see and do. Tula’s Restaurant was recently bought by Alexandrian’s and is fast becoming the social center of the town. The Little Washington Theatre is right across the street making for a grand evening out. The theatre is also the home of the annual Little Washington Film Festival held every spring. Other places of interest include the Little Washington Wellness and Spa, Wine Loves Chocolate, The Café, and R. H. Ballard, a classic gallery and gift store. You can easily spend a half- day here just discovering these gems in this quaint town. If you decide to spend the night for another adventure the next day, there are a few very nice B&B’s, Inns and rooms available. Check out the Greenfield Inn right off of Route 211. Leaving town, drive back to Route 211 and turn right in the direction of Skyline Drive. If you haven’t satisfied your taste for wine by now, there are two great wineries to visit…Gadino Cellars and Little Washington Winery. They both make wonderful award winning wines. The nice thing about this road trip is that you can do it in reverse. Drive to Sperryville first and hit the other spots on your way home. Just before you begin the climb to Thornton Gap you will come to the town of Sperryville. This is truly one of my favorite places to be. Passing the 9-hole golf course (they rent clubs) turn left and cross over the beautiful Thornton River. This is indeed a very small town with big ideas. Stop in Before & After, a coffee and wine shop, for a cup of joe or a glass of wine in the afternoon. The Thornton River Grill is a favorite gathering place for lunch or dinner and the Corner Store has all of the essential snacks to fortify you on any road trip. Grab a pizza at the wood-burning pizza shop or a drink at the newly opened Francis bar. Traveling back over the Thornton River on River Lane to the River District you will find the Copper Fox Distillery situated among the most interesting and diverse group of businesses anywhere. 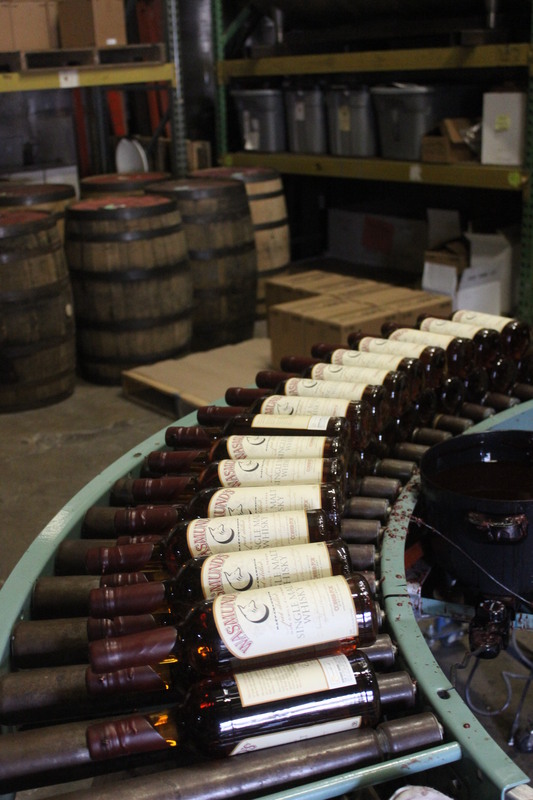 You can tour this distillery and sample (as well as buy a bottle) of some of the best whiskey made in America. Relax at their outdoor bar along the Thornton River and enjoy one of their signature cocktails. If beer is your fancy, the Pen Druid Brewery is across the lot. Have a brew and meet the locals as well as other travelers. Be sure to stop at Heritage Hollow and stock up on their farm fresh products…the bacon is to die for! A jewelry store, Copper Fox Antiques and Flourish Root, a boutique florist make this a great place to just hang out and enjoy the people and the countryside. If you are looking for a cup of coffee for the road or something to take home with you, be sure to check out Central Coffee Roasters and Blue Ridge Artisans. This is a very long road trip with a wide range of things to do and adventures to enjoy. Near Sperryville you will find the hiking trails of the iconic Old Rag Mountain and White Oak Canyon with its six waterfalls. To extend your stay, spend the night in Sperryville. There are a few wonderful B&Bs and cottages to rent. On this trip, the scenery and the people are the best attraction. Enjoy! « The Old Town Shop- Where the Past is your Present!